71 Mach 1 Front Bumper Brackets? 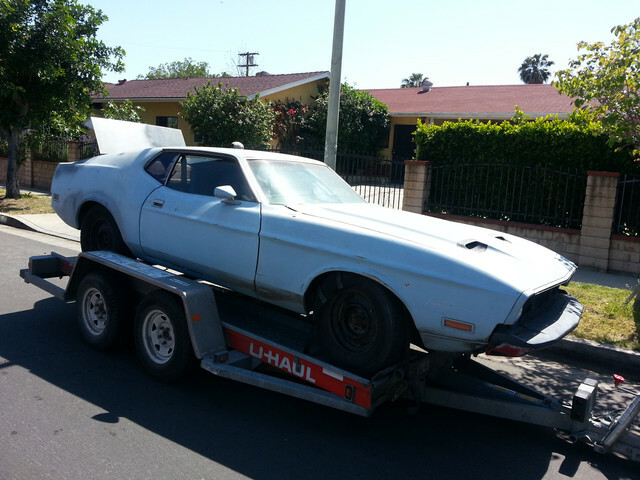 › 71 Mach 1 Front Bumper Brackets? Anybody have a picture of what the 71 Mach 1 Bumper brackets looks like? I came across an original Mach 1 front bumper a while back, didn't realize brackets were different from the 73. 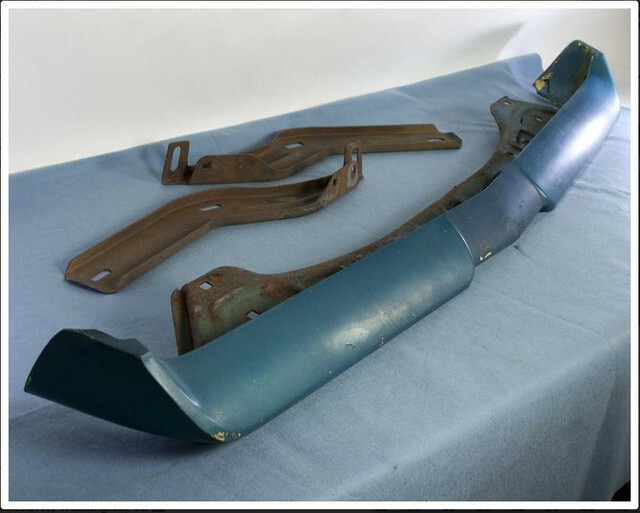 At some point in my car's life, the front bumper got replaced with a 73 bumper and am trying to correct that, but can't find any pictures of what the 71 front brackets look like. Here's what my car looks like at the moment, but I secured a 71 Front bumper a while back, now just need to know what the front brackets look like so I can get those. Thanks for all the help so far everyone. Is this want you mean? (04-11-2019, 12:46 AM)73429mach Wrote: Is this want you mean? Thanks for clearing that up! 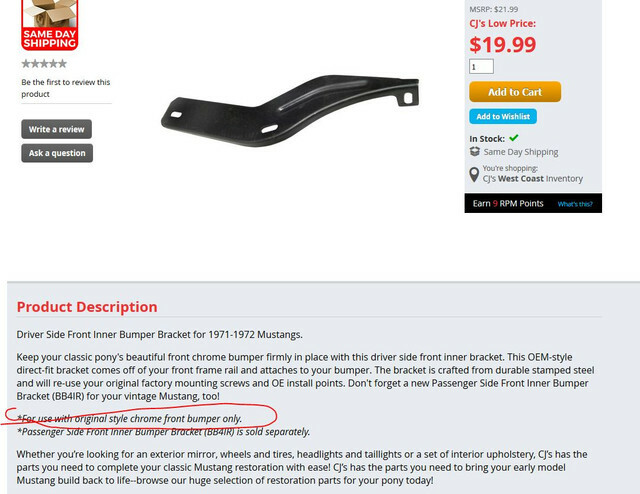 So it's only the bumper that is hard to find, and not the brackets. Got it. The reinforcement bar that the bumper attaches to is common to both the chrome and urethane bumpers as well.